M. Night Shyamalan is on a career upswing and “Split” is somewhat of a return to an earlier form for the director of the standout fright film “The Sixth Sense” and the superhero influenced “Unbreakable”. Mr. Shyamalan was, and still is, unfortunately type casted as a director known for surprising, shocking twist endings. This makes watching his films somewhat of a difficult and frustrating ordeal because of the need to overanalyze every aspect. Still, minus a few films, Mr. Shyamalan has crafted a career that indulges in the art of the mystery and the writer/director displays with “Split” that he can still build an effectively suspenseful film that keeps you wondering what’s going to happen next. 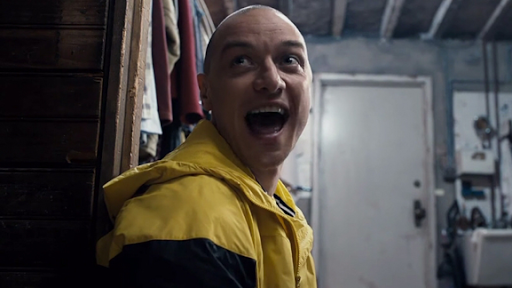 “Split” is about a man (James McAvoy) of many names, this is because of the many personalities that fight for the spotlight in his mind. The first personality we are introduced to is the cleanliness obsessed Dennis who invades a car filled with three teenage girls, drugs them, and kidnaps them. Dennis is just one of 23 other personalities, or “alters” as the film describes it. Once in captivity the three girls begin to witness the depths of this man’s personality disorder, and the dangerous designs in store for them. “Split” doesn’t waste much time getting into the grit of the situation. It takes less than 10 minutes to place the three girls in captivity and introduce the antagonist to the viewer. Mr. Shyamalan establishes the situation then takes a step back to let the personalities of all the characters settle in. The director has always done a particularly great job of building characters and providing a very genuine and authentic feel to how they communicate with each other. The three girls are interesting and compose a good dynamic together. Casey (Anya Taylor-Joy) is the outsider of the three girls; she is abnormally calm and particularly watchful when Dennis comes into the room to explain the situation of their captivity. Through a series of flashbacks we see young Casey on a hunting trip with her father and uncle and begin to realize how she connects with this situation. Claire (Haley Lu Richardson), the feisty and proactive one, and Marcia (Jessica Sula), the nervous and fearful one, are also provided with interesting moments that help with defining their characters. Together these three young women compose an interesting survivalist group. The aspect of being a victim isn’t only reflected in the primary story but in the backstory of the main protagonist and antagonist. Trauma has changed these individuals, which makes their decisions an influence of their trauma. 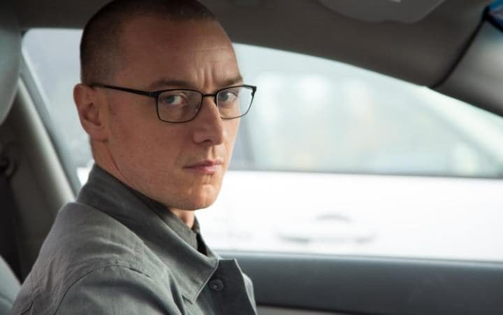 While Mr. Shyamalan utilizes these aspects to offer some interesting concepts to the composition of the characters, specifically within the multi-personalities of the James McAvoy’s character, there are few moments when it takes on an uglier perspective through the camera’s eye. These young women, who are utilized together to challenge the common tropes associated with women in genre films, are often displayed through the camera as mere objects in very little clothing. Together the group of women are stronger than when they are eventually separated, the films stalls a bit once this occurs. James McAvoy elevates this film so much. His performance of numerous characters with distinctive qualities is exceptional; one particular scene is especially fantastic and displays the great range Mr. McAvoy possesses. Ms. Taylor-Joy is building quite a catalog of performances; here she is a great balance to Mr. McAvoy’s indulgence but is also provided with moments that display the strength she must own. Misdirection is one of the most powerful tools in Mr. Shyamalan’s writing arsenal, and he utilizes it with great success in this film. It’s as if he is toying with assumptions and perceptions that have influenced films throughout his entire career. That’s probably why the film feels most in line with his early career work. 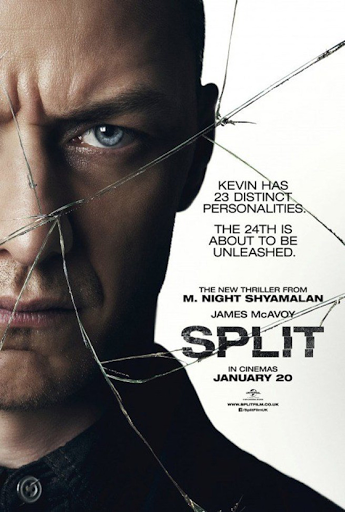 What transpires over the course of “Split” is suspenseful even if the mystery falls apart as more aspects are introduced. Still, in the hands of Mr. Shyamalan you can't help but remain engaged until the final moment.